Pre-Applied Vibra-Tite VC-3 is a process in which fasteners are coated in bulk with VC-3 Threadlocker. VC-3 is a unique process which makes fasteners self-locking and sealing, but are still adjustable, removable, and reusable. A blend of cold flow acrylic polymers, VC-3 acts like a shock absorber, dampening vibration and preventing fastener assembly thread rotation. Compared to many other Pre-Applied threadlockers, VC-3 does not require high heat for the application process which reduces damage to the fastener and finish. Vibra-Tite VC-3 processed fasteners can be automatically fed through standard feeding devices. Eliminates the need for costly lock washers, cotter pins, or castellated nuts. Moreover, VC-3 processing is less expensive than applying bottled threadlockers at the point of assembly. Pre-Applied Vibra-Tite VC-3 parts are coated to specification, insuring consistent performance unlike bottled products. By using Vibra-Tite VC-3 processing, the need for retightening is greatly reduced. 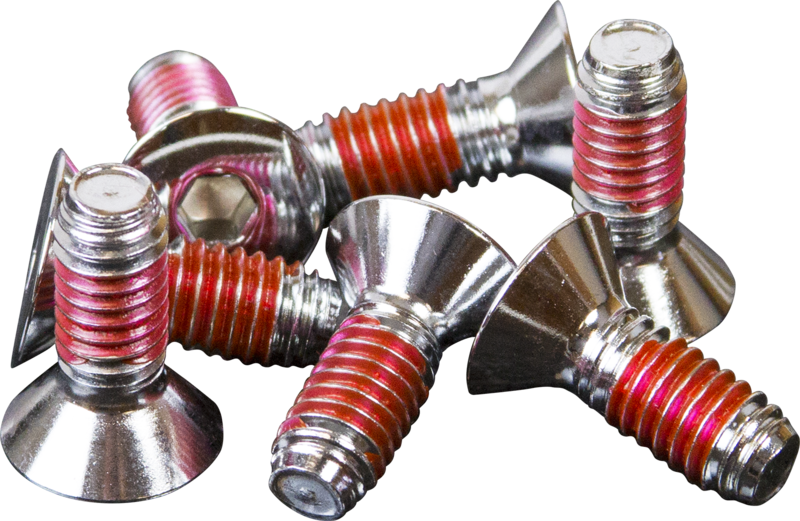 From tiny eyeglass screws to huge construction bolts, Vibra-tite VC-3 processing is ideal for use on fasteners of any size. VC-3 can serve as an alternative to ND Patch when low installation torques are required along with the need for adjustability and reusability. Our sales and R&D staff will help you find the right process to meet your performance specifications.